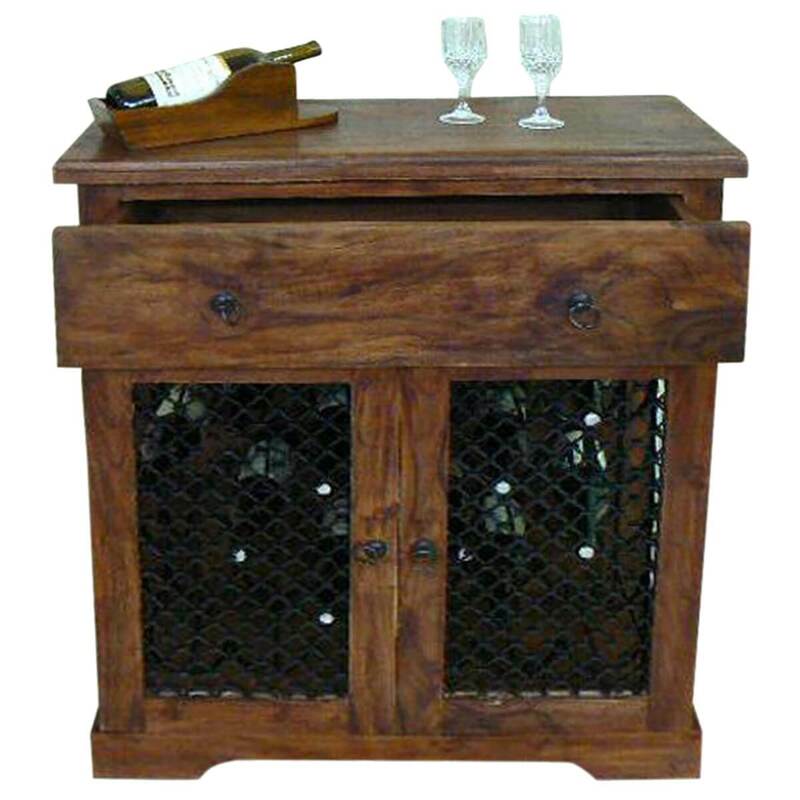 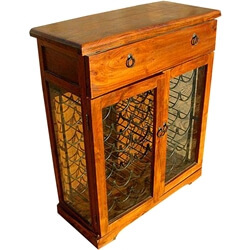 Gorgeous Hemlock Traditional Rustic Solid Wood Iron Grill Door Wine Bar Cabinet made entirely from Solid Wood and Stunning Iron Work cabinet doors for easy viewing of your great wine collection. 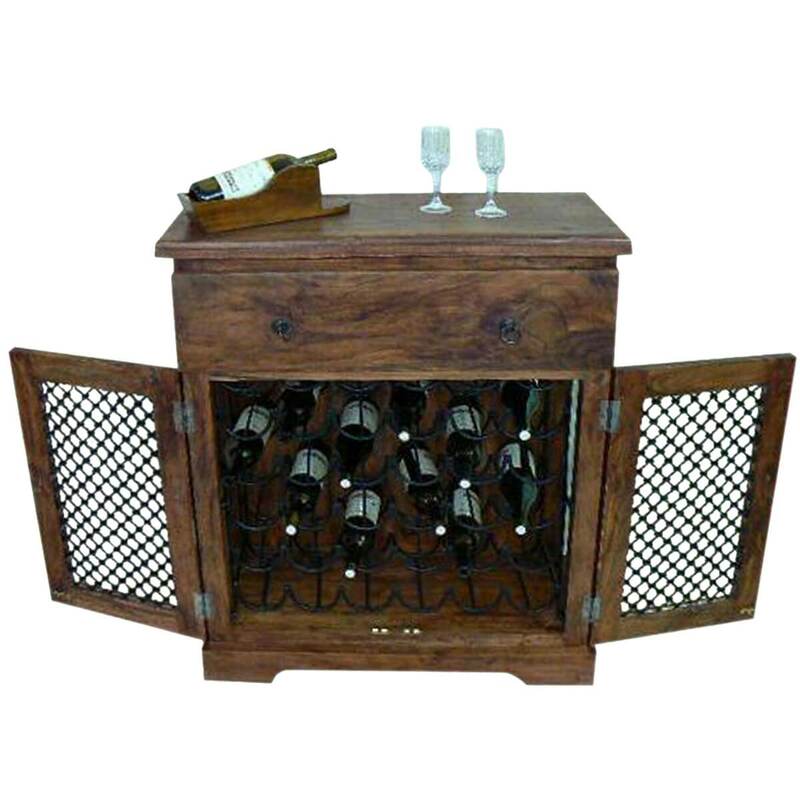 The features of this Wine Cabinet includes a rack that holds up to 36 bottles and a large drawer to keep all your accessories right where you need them. 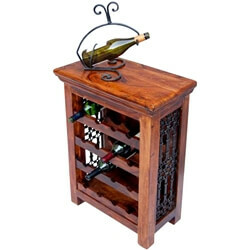 Completely handmade, stained and waxed to a fine finish that will last for years to come. 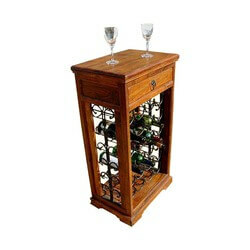 The wine rack is made from Wrought Iron and finely coated with a powder in a Night Black Shade. 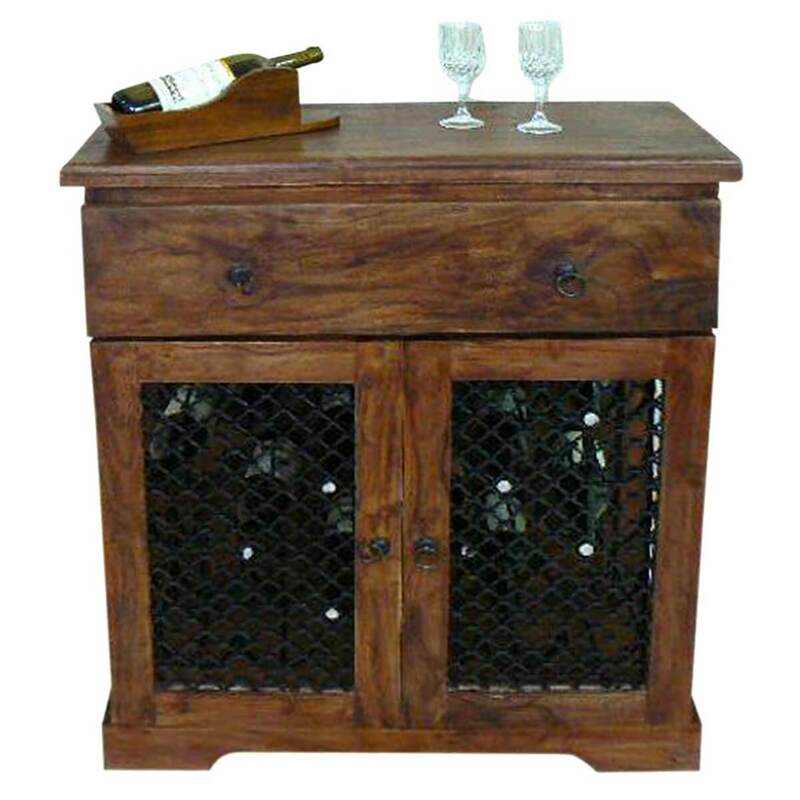 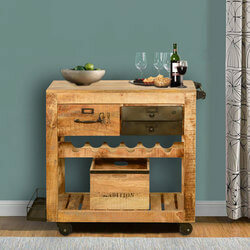 This Unit is easy to move to where you need it so you can always have your favorite wines within reach and compliment your décor at the same time. 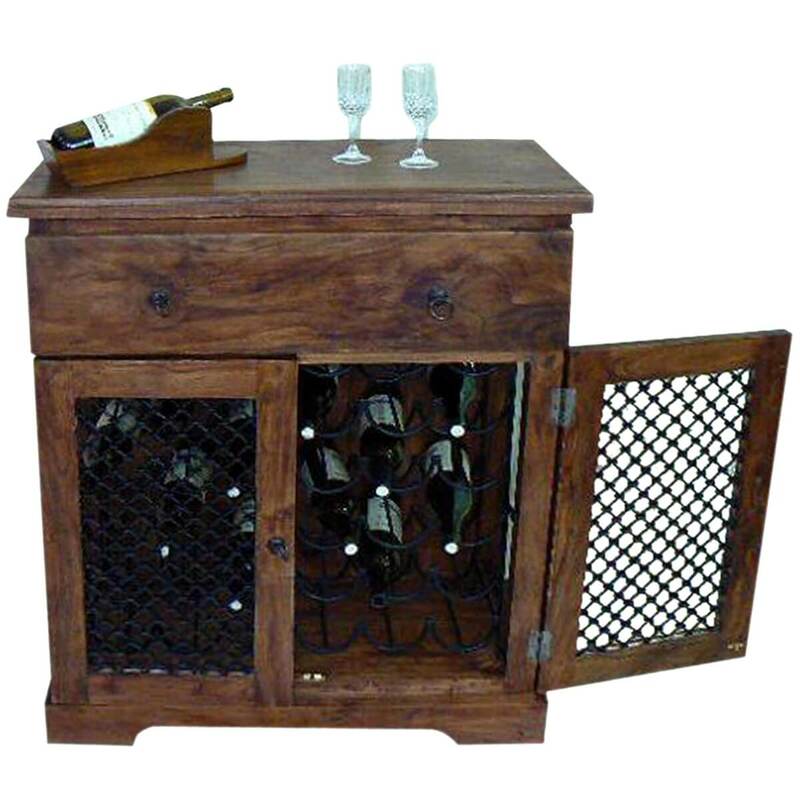 NOTE: Wooden Bottle Holder on the top not included in the product.